Dubai, UAE- January 26, 2014 – Yogurtland, the ever-popular quickly expanding self-serve frozen yogurt pioneer from California, is now open at its first location in the Middle East at The Dubai Mall. Dubai is a vibrant and cohesive city and Yogurtland looks forward to being part of its future. The people of Dubai are going to love what Yogurtland has to offer. With its own proprietary yogurt process and team of flavorologists committed to quality and distinctive flavors, Yogurtland’s frozen yogurt is the best choice, and we are excited to bring this concept to Dubai. At Yogurtland’s self-serve frozen yogurt shops, guests are welcomed by a bright, cheerful wall of sweet and tart yogurt flavors and a topping bar filled with healthful and indulgent options. Paying by the ounce, guests can choose among 12 yogurt flavors and more than 50 fruit and premium toppings to create their own delicious frozen treat and top it off their way. Since the opening of the first location in 2006, Yogurtland has been known for its smooth and creamy premium yogurt that combines authentic custom flavors, sourced from their original locations, for a delicious taste that’s also good for you. Naturally occurring calcium and Vitamin D make Yogurtland yogurt a healthful, refreshing treat. Fruit flavors are also fortified with Vitamin C. All of Yogurtland’s flavors meet the National Yogurt Association criteria for “live and active culture” for frozen yogurt and are produced in a kosher-certified facility. 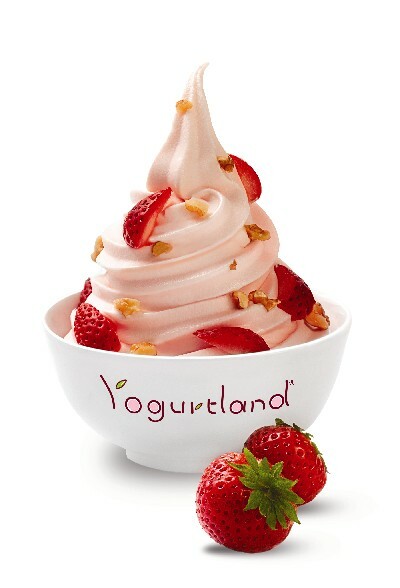 Yogurtland features non-fat, low-fat and no sugar added frozen yogurt flavors as well as non-dairy sorbets. Currently there are more than 240 locations across the U.S., Australia, Guam, Mexico and Venezuela with more than 50 additional locations scheduled to open worldwide over the next six months. At Yogurtland, it’s what inside that counts. Real ingredients, real milk, real flavor. Yogurtland is operated by Cravings with Couture. Yogurtland will be open Sunday through Wednesday from 10 am – 10pm, and on Thursday until Saturday from 10am – 12am.